CLEAN TITLE CERTIFIED! Reviews: * The 2012 Kia Sorento promises a lot and never fails to deliver. It''s attractive, versatile, fuel-efficient, affordable, reliable, and it has one of the nicest interiors we''ve seen in this category in a long time. Source: KBB.com * Plentiful standard features; decent-size third-row seat, sporty handling; optional fuel-efficient four-cylinder; optional punchy V6; long warranty. 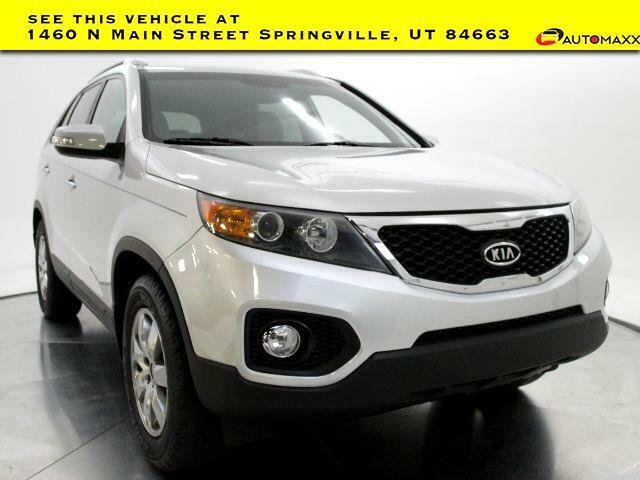 Source: Edmunds 2012 Kia Sorento LX Awards: * 2012 IIHS Top Safety Pick * 2012 KBB.com 10 Best Family Cars * 2012 KBB.com Total Cost of Ownership Awards --- www.utahautomaxx.com --- 801-489-0500 . All vehicles include a 1 year warranty!